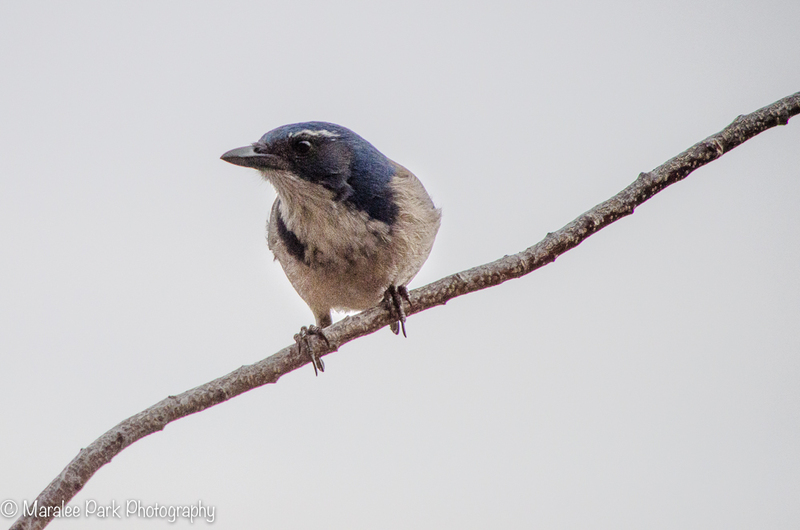 The scrub jay is a very common bird around here. I see them chasing other birds away from the feeder, in the trees, bushes . . . just about everywhere. They have a very raucous voice and most times can be heard before they are seen. Love that lift-off shot! 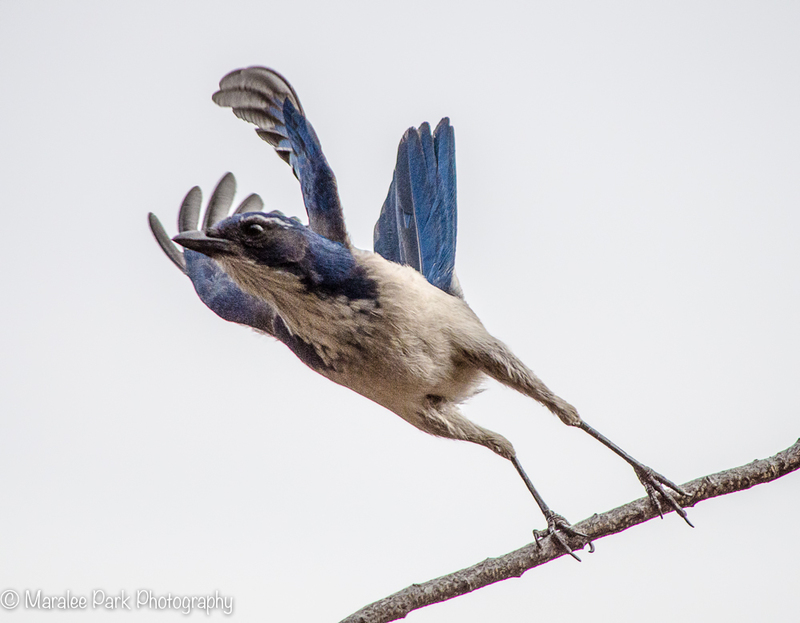 I’ve yet to see the Scrub Jay, we don’t have them here in the east. I searched hard when we traveled out west 2016 too! I think they’re more common in some areas of the west than in others. When I was visiting California I didn’t see any. But we have plenty here. Nice capture of the lift-off . . . I used to be able to do it with hawks, but it’s more difficult with smaller birds (they’re faster). That was a pure luck shot. I was on continuous shooting when it took off. I believe they are a member of the “Corvid” family & as such are very intelligent! I do believe they are quite intelligent. They can look at me as if I’m a real idiot sometimes. their cousin the Whiskey Jack will do just that & also scold you If you don’t give them any of your breakfast! I think they’re quite common in the West.